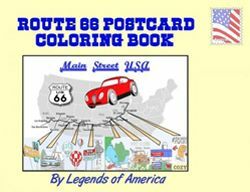 Located along old Route 66 in Flagstaff, Arizona is the Hotel Monte Vista. Opening on New Year’s Day, 1927, this historic hotel, listed on the National Register of Historic Places has been fully restored to its former glory and continues to serve the traveling public today. Along with playing host to numerous famous figures over the years, such as John Wayne, Bing Crosby, and Harry Truman, it also apparently is home to a number of unearthly figures. This old hotel is one of the very few American hotels built entirely from public taxes, when, in 1924, a man by the name of V.M. Slipher spearheaded a local fundraising campaign to build the hotel. After its opening, the hotel was popular not only among the tourists but also a favorite of the locals who quickly coined the phrase, “Meet me at the Monte V.” In its first year, the hotel hosted Mary Costigan’s daily three-hour radio show from room 105. Costigan was the first American woman to be granted a radio broadcasting license. Today, staff and guests feel as if this dead bandit is one of the many spirits that haunt the building. One manager reported that he would hear an eerie voice that said “Hello” or “Good Morning” when he opened the bar each day. Others have told stories of feeling a ghostly presence while enjoying a drink in the cocktail lounge. 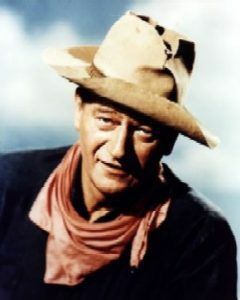 Though this might be the ghost of the the gunman, the hotel has such a past of shootings, cowboys on horseback in the lobby, and drunken brawls that they aren’t really sure. 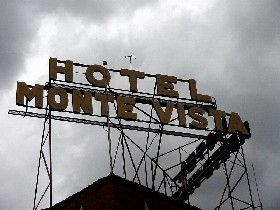 The Hotel Monte Vista is the longest publicly held commercial hotel in the history of America, finally selling to a private individual in the early 1960’s. 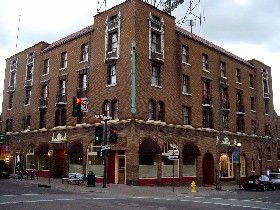 Located at 100 N. San Francisco Street, the old hotel with its tales of scandal and ghost stories continues to entertain.